Florsheim Brinson Mens Burgundy Leather Dress Slip On Comfort Trendy Loafer Shoe! The Florsheim Brinson presented by ShopBigTime is a wing tip loafer dress shoe featuring a kilty tassel accent for added flair. 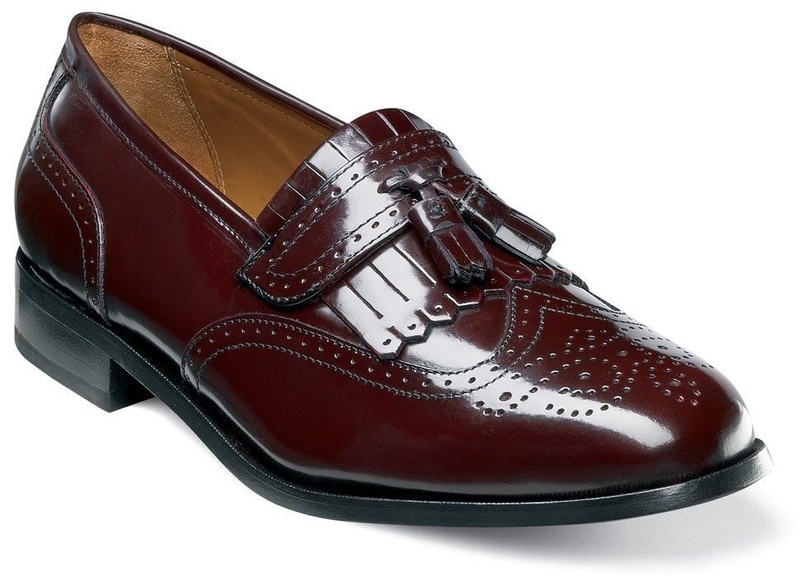 An old-timey shoe with a modern vibe, the Brinson is both humble and elegant.